Sub-orbital altitude solar/rocket powered mother ship launch vehicle THE NORTH STAR: Another way to launch efficiently shuttles into the Mars or GEO station. 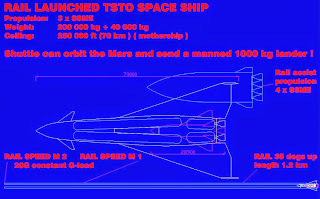 Another way to launch efficiently shuttles into the Mars or GEO station. 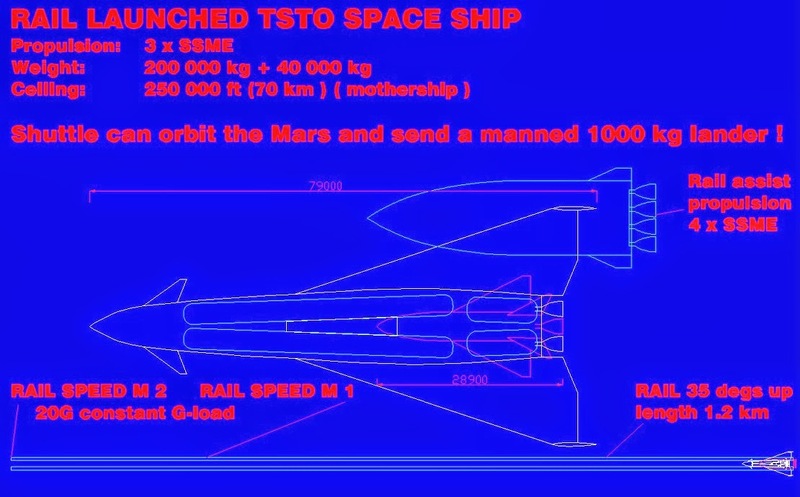 Here..just with a grain of salt..th e weight could be just 150 000 kg and the shuttle 25 000 kg and acceleration just 10 Gs on the rail. This is pretty much based on the Boeing TSTO 1989 patent.